All LHB coaches to be fitted with bio toilets soon PATNA: The East Central Railway (ECR) has launched a drive in all its five divisions – Danapur, Mughalsarai, Dhanbad, Sonepur and Samastipur – to inform passengers the ways to use bio toilets. ECR chief public relations officer (CPRO) Rajesh Kumar said the drive would continue till June 24. “Railway officials and staff are holding awareness drives at all the major stations under ECR from where mail and express trains originate. They are urging passengers not to throw plastic bags or any other unwanted materials in the bio toilet commodes,” Kumar said. He added the railways has decided to convert the existing toilets into bio toilets under the Centre’s ‘Swachh Bharat Abhiyan’ to maintain cleanliness on rail tracks. “The ECR has so far fitted about 360 coaches of long distance trains with bio toilets. Railway Board has sanctioned Rs 4 crore to ECR to retrofit bio toilets in the passenger coaches,” he said. The CPRO said the Danapur division had fitted bio toilets in 25 coaches during the 2015-2016 fiscal. “The number has increased to 60 coaches in the division now. Bio toilets keep cockroaches and flies at bay,” he said. Under the new development plan of railways, all Linke Hofmann Busch (LHB) coaches are fitted with bio toilets. The rail coach factory at Kapurthala is manufacturing LHB coaches fitted with bio toilets. “Railways has decided to convert all conventional toilets into bio toilets in a phased manner. It has set a target of installing bio toilets in 2,500 coaches in the current fiscal,” Kumar said. A Board official told this newspaper on Thursday all trains being operated by the Indian Railways will have eco-friendly bio toilets soon. “In bio toilets, an anaerobic bacterium converts human waste into water and gases (methane and carbon dioxide). Railways has provided bio toilets on trial basis in Gwalior-Varanasi Bundelkhand Express, Jammu Tawi-Indore Malwa Express, Chennai-Guwahati Egmore Express, Nizamuddin-Indore Intercity Express, Indore-Gwalior Express, Mumbai-Varanasi Mahanagri Express, Lucknow-Mumbai Pushpak Express and Kochuveli-Bangalore Express,” he added. The Board official added the railways is facing the problem of environmental degradation and corrosion of tracks due to spread of human excreta on open tracks. “Corrosion costs railways more than Rs 350 crore every year. Railways has, thus, set up a core committee to complete fitting bio toilets in all conventional coaches by 2020,” he said. PATNA: Chief minister Nitish Kumar on Sunday inaugurated, approved and laid foundation stones for various projects of the rural works departmentworth over Rs 4,169 crore at Samvad Bhavan here. To begin with, the CM laid foundation stones for projects worth over 1,959 crore through which 2,096 roads and 45 bridges will be constructed across the state. The CM also approved commencement of work for 1,160 road and 28 bridge projects worth over Rs 1,113 crore. In addition, the CM inaugurated 853 roads and 60 bridges built with an expenditure of over Rs 1,097 crore. Speaking on the occasion, Nitish said the state government has identified 4,000 tolas with population of 250 persons or above for construction of roads under the Tola Sampark Nishchay Yojana in the first phase. 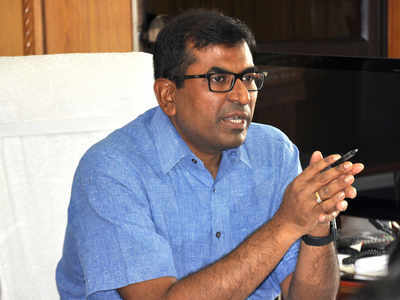 “The state government has taken Rs 2,800 crore off-budget loan from National Bank for Agriculture and Rural Development at 10% interest rate to connect tolas and villages with roads,” he said. Quoting the 2011 census, Kumar said 89% of population in state lives in rural areas and 76% are dependent on agriculture. “Better roads in tolas and villages will provide connectivity to farmers and help them sell their produces,” he said. The CM asked the officials concerned to ensure maintenance of roads after their construction. “The engineers should ensure that load bearing capacity of roads is such that tractors and buses ply on them. It has been observed that farmers buy tractors and other heavy vehicles after construction of roads,” he added. The CM asked the rural works department to plant saplings along the newly constructed roads and ensure their proper maintenance. “It is wrong on the part of the rural works department to blame the forest department for lack of maintenance of trees along the roads. There should be better coordination between the two departments,” the CM said. He stressed on use of new technology to bring down construction cost. The project involves development of 6.6km-long walkway along 20 ghats in the city. PATNA: The World Bank-funded Ganga riverfront development project has been delayed for the second time. The initial deadline for this dream project of CM Nitish Kumar was June 2016, which was revised to June this year and, if officials are to be believed, the deadline to complete the project will be extended by another six months. The project cost is also likely to be revised. Senior officials of Bihar Urban Infrastructure Development Corporation (Buidco), the agency of state urban development and housing department which is executing the project, said the project would be completed by the end of this year. The riverfront project entails development of 6.6km-long and 15ft-wide walkway along 20 ghats in the city which will have amenities like decorative street lamps, public lavatories, 500 seating benches and green cover. The CM had laid the foundation for the project on February 12, 2014. “The beautification work at 16 ghats, including upgradation of roads, construction of toilets, changing rooms, water kiosks and installation of benches and street lights, has already been completed. The audio-visual theatre near Gandhi Ghat has also been constructed,” a senior Buidco official associated with the project said. Citing reasons for delay in the project, the official said, “We usually stop the work during monsoon due to flood threat. Land acquisition is another big hurdle. However, required land has been acquired for the project.” He added the original expenditure of the project, which was pegged at Rs 254 crore, would be revised. The project is divided into four precincts. 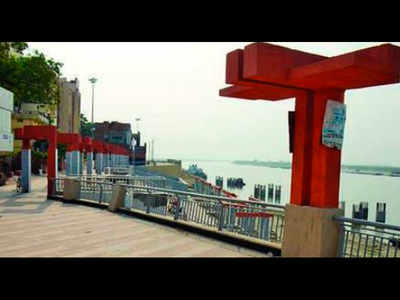 The first precinct covers riverfront between Collectorate Ghat and Mahendru Ghat, the second between Mishri ghat and Patna College ghat, the third between Gandhi Ghat and Rani Ghat and the fourth between Bhadra Ghat and Nauzar Ghat. PATNA: A recent cleanliness survey, conducted by the Quality Council of India (QCI) on behalf of the railways, has placed the Patna Junction at the 91st position, out of 407 major stations. This includes 75 busiest stations in India that have been ranked in A-1 category (stations with over Rs 60 crore in annual earnings) and 332 stations that are part of category A (earnings between Rs 8 crore and Rs 60 crore). Only six stations in Bihar, including Patna, Gaya, Muzaffarpur, Chhapra, Bhagalpur and Darbhanga, fall under the A-1 category. None of the railway stations of Bihar, falling under the East Central Railway (ECR) zone, figures on the list of top 20 cleanest stations of the country. In fact, the Sagauli (405), Madhubani (406) and Jogbani (407) stations — all in Bihar — are said to be the dirtiest. Out of 1000, the overall score of the Patna Junction is 719. Under the ECR zone, it has bagged the third spot after the Mughalsarai and Hajipur stations. According to sources, the survey is done on the basis of parameters like cleanliness in waiting rooms and parking lots, main entry area and on platforms, direct observation done by QCI accessors, feedback from passengers, clean toilets, tracks as well as dustbins. 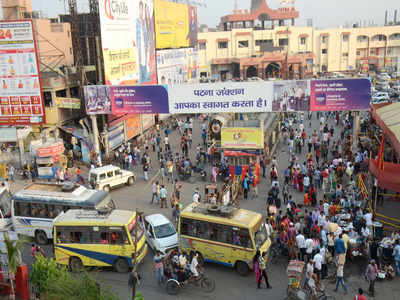 As per the survey report, the Patna Junction has scored 35.29% (out of 100) in parking area category, 57.39% in availability of cleaning staff, 65.07% in cleanliness in main entry area, 75.28% in cleanliness of waiting rooms and 96.3% in cleanliness of main platform category. “The main problem at the Patna Junction is the parking of vehicles as the area is congested and the daily passenger flow is very high. Even if we deploy cleanliness workers, they cannot clean the area properly due to the large number of vehicles parked near the entrance and portico of the station,” ECR chief public relations officer (CPRO) Rajesh Kumar on Monday said and added the station had fared well in other categories. Passengers’ feedback was taken on ten parameters — cleanliness of platforms, toilets, waiting rooms, drinking water booths, availability of dustbins, pest and rodents and foul smell at station, among others. The Patna station got 97.33% in availability of dustbins, 82.27% in drinking water booths, 83.33% in pests and rodents free platforms and 62.44% in cleanliness of toilets. PATNA: Worsening air quality in Patna, Gaya and Muzaffarpur is one of the reasons behind high premature mortality in these cities, a report said on Monday. The Centre for Environment and Energy Development (CEED), an NGO, in collaboration with Indian Institute of Technology (IIT) Delhi, released the findings titled ‘Know what you breathe’ here on Monday. The study was conducted in seven cities of Uttar Pradesh (Allahabad, Kanpur, Lucknow, Meerut, Varanasi and Gorakhpur), three cities of Bihar (Patna, Gaya and Muzaffarpur) and Ranchi, the capital of Jharkhand. Among them, Kanpur stands at the first position followed by Lucknow and Patna, where highest number of premature deaths per year due to the chronic exposure to air pollution were recorded. “An estimated 290-300 deaths per lakh population took place annually in Patna, Muzaffarpur and Gaya due to pulmonary and heart diseases, strokes, lung cancer and acute lower respiratory infections,” the report said. The report studied the annual mean PM2.5 concentration in 11 cities of Bihar, Uttar Pradesh and Jharkhand using satellite data of the past 17 years, which estimate premature mortality of 4,082 persons per year in the three cities of Bihar. PM2.5 refers to atmospheric particulate matter (PM) with diameter less than 2.5 micrometers. The study collated the air quality data with deaths due to air pollution-related diseases. The report’s data and findings related to the Bihar cities were released on Monday, underlining the urgency to take stringent steps to curb air pollution. With specific findings related to the sources of pollution and aerosol composition, the study indicated a higher percentage of sulphates, organic carbons, and black carbon, which are emitted primarily by anthropogenic sources. He emphasized that to prevent air pollution from causing more premature mortality, the government needed to put it high on its priority list. 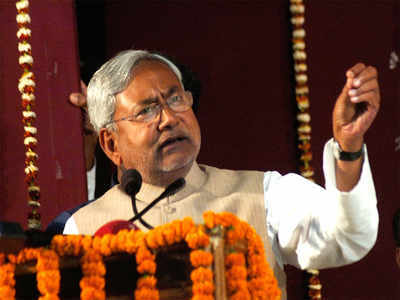 The announcement of preparation of an Air Action Plan for Patna is a welcome step, he said. Speaking on the action required for improved air quality, report author and associate professor Sagnik Dey of the Centre for Atmospheric Sciences, IIT-Delhi, said a critical factor in air quality management plan is to set targets in short, medium and long terms of meeting air quality standards, along with a detailed implementation plan. To improve the air quality in the region, we need to transit towards cleaner fuel for cooking on a priority basis, Dey said. PATNA: Chief minister Nitish Kumar on Monday inspected the state-of-the-art Bihar Police Bhawan, which is expected to be handed over to the police department within the next two months. The building would house the state police headquarters. The main building is constructed on ‘base isolation technology’ with 308 lead rubber bearings (LRB) imported from the US, allowing 312mm lateral movement of the building during earthquake. It is claimed to be the fifth such building in India. The campus is spread in 6.7 acre area having the main building divided into five wings, a dormitory and transit building with parking and eight flats each. Another building on the campus will have an auditorium, a convention hall and a badminton court. Around 300 four-wheelers can be parked in the main building parking at a time. The CM inspected wing-III, which will house state emergency operation centre for action during any emergency or disaster. Nitish also visited the helipad on the top of the main building, which also has a CM’s office, which will act as the command centre during emergency. Building construction department’s (BCD) executive engineer Rambabu Prasad told TOI that IIT Delhi experts had simulated the earth crust’s movement during 1934 earthquake (8.4 on Richter scale) for strengthening the building’s design. “The 1934 earthquake has been the most powerful in Bihar so far. That’s why it was taken into consideration while constructing the building. Bihar is in seismic zone-IV, which can have earthquake of 7 to 7.5 on Richter scale,” Prasad said while explaining the technical details to the CM during inspection. He said the building would be handed over to department within two months. The CM also inspected the LRBs installed in the building’s base and asked officials about toilets and restrooms for police personnel in the building. The building construction had started on September 29, 2014 and was scheduled to be completed in 24 months. It’s estimated cost is around Rs335 crore. BCD minister Maheshwar Hazari, chief secretary Anjani Kumar Singh, principal secretary (home) Amir Subhani, disaster management department principal secretary Pratyaya Amrit, DGP K S Dwivedi, ADG (special branch) J S Gangwar and other senior officials accompanied the CM during the inspection. French firm hired for revival of HFCL plant PATNA: Deputy CM Sushil Kumar Modi on Tuesday said the Centre has hired a French company to revive the Barauni-based Hindustan Fertiliser Corporation Limited (HFCL). After its revival, the plant will produce neem coated urea. Modi said the revival of the HFCL plant and production of fertiliser would entail an expenditure of Rs 7,000 crore. While the main plant is likely to be revived by January 2021, the production of neem coated urea by Hindustan Urvarak Rasayan Limited (HURL) will start from May 2021, he added. HURL managing director A K Gupta called on Modi on Tuesday to discuss the current situation at HFCL. The plant will produce 3,850 tonnes of neem coated urea per day and fulfil the needs of farmers in Bihar and Jharkhand, Gupta told the deputy CM. When the Gas Authority of India Limited (HAIL) took up the Haldia-Jagdishpur natural gas pipeline project, it was felt that the three closed HFCL plants at Sindri, Barauni and Gorapkhpur should be revived to ensure bulk consumption of natural gas. Modi said the revived Barauni HFCL would create 1,500 direct jobs and 18,000 indirect employment opportunities. He assured Gupta of full cooperation from the state government. PATNA: Following accumulation of water for six days, swab culture tests were conducted on the walls and equipment of the operation theatre (OT) of surgery department at Nalanda Medical College and Hospital(NMCH) on Tuesday. “A water pipe had burst six days back, flooding the ground floor of the OT. The water has been cleared now,” OT in charge Dr Ashok Kumar said. “Since stagnant water causes infections, work to disinfect the area has already started. The reports of the swab tests will come on Wednesday. It will make it clear whether microorganisms have developed in the area or not. The OT gets flooded every monsoon and the water is pumped out through pipes,” Dr Kumar said. NMCH deputy superintendent Dr Gopal Krishna said the medicine ward and administrative offices of the hospital get waterlogged in the monsoon. “We generally open the sump houses and pump out the water in a day or two. The area is low lying and there is water all around,” Dr Krishna said. He added once the NMCH is upgraded to a 2,500-bed hospital, the situation will improve. PATNA: Even as the onset of southwest monsoon in Bihar is a fortnight away, a humble bout of showers in Patna exposed the ill- preparedness of Patna Municipal Corporation (PMC) to tackle the waterlogging menace. While several streets were seen water- logged, others had ditches and muddy potholes. PMC sources say only 60% of the monsoon preparedness works, including cleaning of drainage and manholes, have been completed. This means the remaining 40% of the works has to be completed in the next 10 days, else the residents would be forced to face the infamous waterlogging scenario in monsoon. “The pre-monsoon work is underway in different localities of the city. Most of the works related to desilting of canal is done. 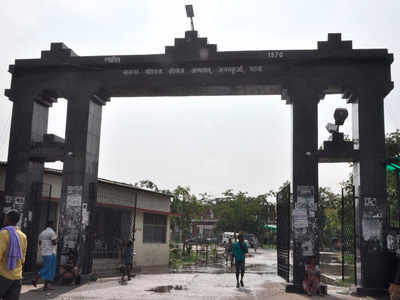 work is underway on a project entailing an estimated outlay of Rs175 crore and likely to be finished by June-end,” Patna mayor Sita Sahu told this newspaper on Tuesday. She said weekly inspection would be held and a final review of the work would be done before the deadline. Apart from waterlogging, another problem that pedestrians have to suffer from is the mixing of rainwater with sewage water, which causes serious sanitation issues. One spell of rain and these roads become slushy. It becomes difficult to even walk,” said Shaivya Shukla, a resident of Boring Road area. PATNA: Given the normal monsoon prediction for the year, deputy chief minister Sushil Kumar Modi on Wednesday directed the urban development department officials to ensure that all the sump houses in Patna were repaired before the monsoon gets into full fury by June 30. Modi, who reviewed the activities of the department on its preparedness to face the challenge of waterlogging in different parts of the city, also asked the officials concerned to complete the work regarding drainage of water and sewerage clearance by June 30. As to readying up the sump houses for the heavy monsoon rain, Modi told the officials to store in advance diesel, spare parts, additional pumpsets and other essentials required for the machines to drain out excess water from the waterlogged areas. Bihar Urban Infrastructure Development Corporation (BUIDCO) officials said the drainage work had been undertaken at 54 points whether waterlogging was reported last year. They include 27 in the New Capital Circle, nine in Bankipore circle, 13 in Kankarbagh and five in Patna City circle. Among the elected representatives and officials who participated in the review meet were MLAs Arun Kumar Sinha, Nitin Navin and Sanjeev Kumar Chaurasia, urban development department principal secretary Chaitanya Prasad, BUIDCO general manager Amarendra Kumar Singh and Patna deputy mayor Vinay Kumar Pappu. NEW DELHI: A designated PMLAauthority has held that 11 land plots worth Rs 44.75 crore, attached by the Enforcement Directorate (ED) in the name of a firm linked to RJD chief Lalu Prasad's family, are money laundering assets and ordered that their attachment should continue. The central probe agency had provisionally attached the plots measuring about 3-acres, located in Danapur near Bihar's capital Patna, in December last year under the Prevention of Money Laundering Act (PMLA), in connection with the IRCTC hotel allotment case. "Considering the material (filed) in the original complaint (by the ED).. I find that the immovable properties provisionally attached are involved in money laundering. "I, therefore, hereby confirm the attachment of the property...and order that the said attachment shall continue during investigation for a period not exceeding ninety days or the pendency of the proceedings relating to any offence under the PMLA before a court and become final after an order of confiscation is passed by the special court," a recent order issued by Member (Law) of the Adjudicating Authority of the PMLA, Tushar V Shah, said. The ED will now seize the properties, bearing a market value of Rs 44.75 crore, and put up its sign board on these plots, agency sources said. The land pieces are in the name of Ms Delight Marketing Co Pvt Ltd, now Lara Projects LLP, whose managing partner is Lalu's wife Rabri Devi, partners are his son Tejashwi Yadav and Tej Pratap Yadav, and Ms Meridian Construction India Limited promoted by Abu Dojana, an MLA of the former Bihar Chief Minister's party-- the Rashtriya Janta Dal (RJD). When the ED attached these assets last year, a shopping mall was supposed to come up on these plots. It also had recorded the statements of Rabri Devi, Tejashwi, the former deputy chief minister of Bihar, and others in the case. In July last year, the agency registered a case against Lalu Prasad, his family members and others under the provisions of the PMLA. Before this, the Central Bureau of Investigation (CBI) had registered a criminal first information report and conducted multiple searches on the properties of Lalu Prasad and others. The CBI FIR alleged that Lalu Prasad, during his tenure as the railway minister in UPA-I, handed over the maintenance of two Indian Railway Catering and Tourism Corporation hotels to a company in 2004 after receiving a bribe in the form of a prime land in Patna through a 'benami' company owned by Sarla Gupta, wife of Prem Chand Gupta, a former Union minister and an RJD MP. The ED registered its criminal case based on this CBI FIR. Others named in the CBI FIR include Vijay Kochhar, Vinay Kochhar (both directors of Sujata Hotels), Delight Marketing company and the then IRCTC managing director P K Goel. 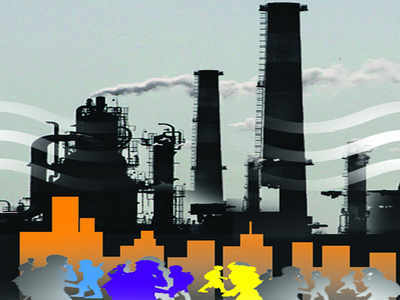 PATNA: The Bihar State Pollution Control Board (BSPCB) has issued closure orders to 175 industrial units across the state for violating environmental and pollution norms. Of these 175 industrial units, 71 are situated in Patna, 39 in Madhubani, 23 in Muzaffarpur, 21 in East Champaran, 16 in West Champaran, three in Saran and one each in Siwan and Vaishali districts. Apart from this, ‘proposed direction notice’ has been issued against 41 brick kilns in the state. Notices have also been issued against hospitals, pathology laboratories and nursing homes across the state. “An inspection was conducted across the state to identify the hospitals that have not installed effluent-treatment plants (ETPs) to dispose of their liquid waste in an environmental-friendly manner. Many hospitals were having such plants, but not operating them on regular basis,” said BSPCB PRO Birendra Kumar. Under Section 33A of the Water (Prevention and Control of Pollution) Act, 1974, as many as 14 hospitals, including Arohi Hospital in Sheikhpura (Patna), Satyam Hospital in Shiekhpura, Popular Nursing Home on Ashok Rajpath, New Max Care Hospital in Rajabazar and Gatewell Hospital in Rajabazar, were identified as the units discharging harmful effluents continuously. A ‘proposed closure direction’ was issued against such units, Kumar said. Under the same Act, notices have also been issued against hotels and banquet halls for not regulating the generated waste properly. Besides, ‘closure directions’ have been given to seven rice mills. PATNA: The Real Estate Regulatory Authority (RERA), Bihar has extended the deadline for registration of ongoing projects under Real Estate (Regulation and Development) Act, 2016 till June 30 this year. The builders have been asked to register their projects with RERA by the stipulated time period along with a late fee of Rs 3 lakh or 300% of the registration amount. The earlier deadline for registration of real estate projects was May 31. If sources are to be believed, more than 1,500 real estate projects across the state are yet to be registered. Rajiva Bhushan Sinha, a RERA member, told this newspaper on Friday that people should desist from investing in the unregistered projects. “Under Section 3 of the RERA Act, 2016, the promoters have to register their projects (residential as well as commercial) with the regulatory authority before booking, selling or offering apartment, plot or building for sale. In case a project is to be promoted in phases, each phase shall be considered as a standalone project and the promoter shall obtain registration for each phase,” he added. “If the builders fail to register their projects by the new deadline of June 30, they will be penalised under Section 59 of the Act that invites penalty of up to 10% of the estimated cost of the project or imprisonment for three years,” Sinha added. As of now, RERA-Bihar has served 100 notices on builders and developers in the state for not complying with the provisions of the Act or giving incorrect information in their applications for registration. The notices, issued under Section 59 of the RERA Act, sought to know from builders as to why action should not be taken against them for violating the provisions of Section 3 of RERA Act. Only 40 projects have so far been registered with the RERA while 150 builders, who had applied for registration, have been asked to provide additional documents and information. BAGAHA/PATNA: With monsoonround the corner, a large part of Khushinagar district in Uttar Pradesh and four blocks of West Champaran district including Piparasi, Madhubani, Bhitaha and Thakaraha situated along the right flank of the 35km stretch of Piparasi-Pipra embankment along Bihar-Uttar Pradesh border are facing flood threat. 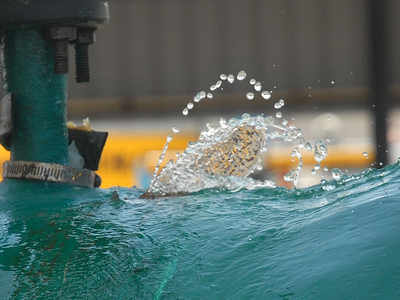 Senior engineers at Valmikinagar divisional office of water resources department said the water level at Gandak barrage in Valmikinagar has surged from 8000 cusec on Wednesday to 27,000 cusec on Friday. “The DM will also inspect the area on Monday. The team of engineers deployed to carry out the repair work on the embankment have claimed that the work will be over in seven-days, starting from June 16,” informed Meena. Sources also claimed that water resources minister Rajiv Ranjan Singh is likely to visit Gandak embankment and Gandak barrage soon to review the preparations.